The three this time are from the United States. A hectic trip in 1964 enabled me to see locomotives I never thought I would see a few years previously. The industrial locomotive has almost finished working there except in a few isolated places. However, many are preserved on plinths, whilst others have been put to work on branch lines by enthusiasts. 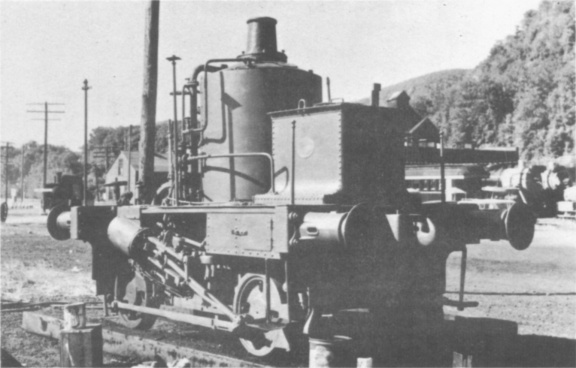 The 0-4-0 saddle tank is, as here, very common, so I am showing a 2−4−2 saddle tank, Baldwin 29575 of 1906, preserved at the Franconia Paper Mill, Lincoln, New Hampshire. Two miles away are Heisler and Climax geared loco motives, and a Shay, working in a fairground park. Ely−Thomas Lumber 6 [Lima of 1927] is believed to be the only narrow gauge Shay now working. She was in the Allaire State Park, New Jersey. The owner has, amongst others, LADY EDITH from the Cavan & Leitrim Railway, Ireland. The vertical boilered 0−4−0 tank, St. Leonard 466 of 1877, was presumably brought from Europe. 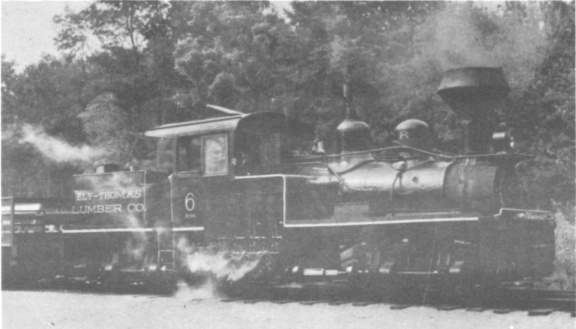 Over the left buffer is a Tralee & Dingle locomotive. 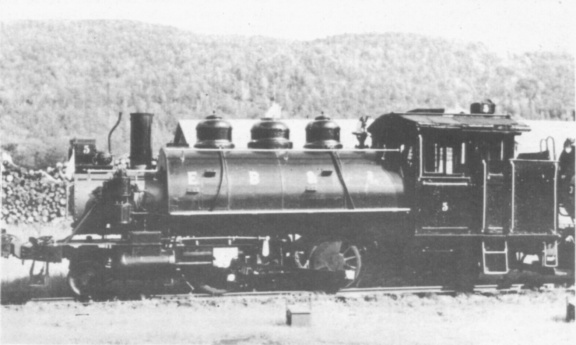 They were at Bellows Falls, New Hampshire, in company with some other thirty locomotives. The owner is a wealthy eccentric and in 1964 had over seventy locomotives at various places.